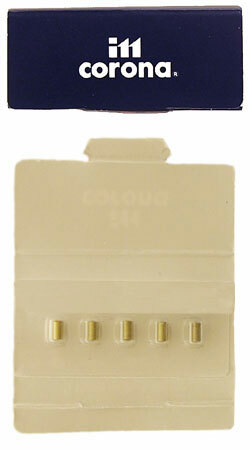 We highly recommend Corona flints for any flint lighter. Corona uses a high quality flint that is free of impurities, which can clog up your lighter's mechanisms. Flints of lesser quality create a "dirty" spark which can foul up your lighter. If you've used other flints, you'll find that your lighter will need much less cleaning and maintenance with Corona flints. I've used them in all my Corona lighters for the past 6 years with no problems. They have never failed me not once! !